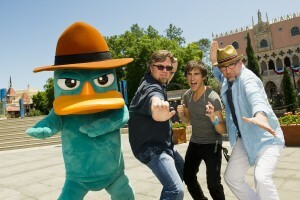 Parkscope: Agent P Saves the World, Trains Splash & Elephants Duel! Agent P Saves the World, Trains Splash & Elephants Duel! With all the rumblings in the Universal Orlando rumor mill, it is easy to overlook the smaller happenings at Walt Disney World. Storybook Circus became a bit more kinetic recently when Casey Jr. began soaking guests and Timothy Mouse helped the other set of Dumbos to begin to fly and thusly "duel". Also, Agent P has kicked Kim Possible out of World Showcase. 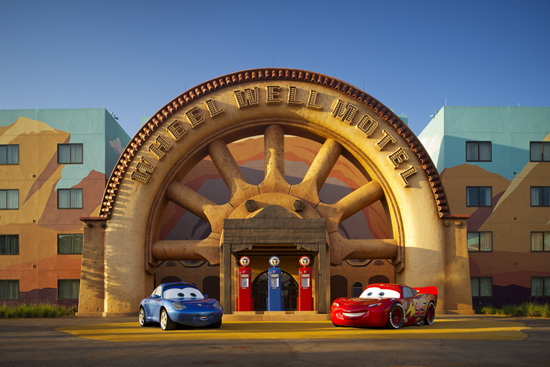 Lets take a brief look at the new experiences at Walt Disney World, shall we? © Disney 2012. All Rights Reserved. Storybook Circus completed the introduction of the new Dumbo the Flying Elephant attraction by getting the second spinner testing. 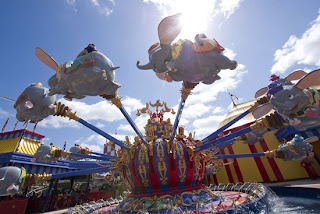 Soon, guests will be able to soar on one of two Dumbo spinners. This effectively doubles the capacity of the original Dumbo. While waiting to load one of the two spinners, guests will be able to enjoy the Big Top. The Big Top is Dumbo's new interactive queue, which will open in July. This new expereince will allow children to enjoy a play structure until it is time to soar with Dumbo. 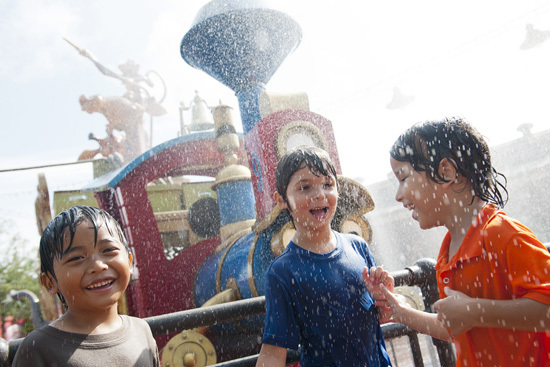 Storybook Circus also opened the new Casey Jr. Splash and Soak Station and boy is it wet. Whenever I first heard about this addition, I thought it was going to be pretty similar to Donald's Boat, but I was wrong because Casey Jr. takes Splash and Soak to a new level. This water play area is sure to bring enjoyment to the younger set. They still have a few issues to figure out such as parents allowing children to climb over the fence surrounding Casey Jr. to get inside the train, but I'm confident a solution will be found. Casey Jr. plays an important part in theming Storybook Circus and is thusly key to the area. After all, without him, Dumbo wouldn't be visiting the Magic Kingdom. Magic Kingdom is not the only park getting additions this summer season. At EPCOT Center, Kim Possible has been given the old heave ho in favor of Agent P. For the new adventure, we are asked to assist the Organization Without a Cool Acronym (OWCA) in stopping Dr. Doofenshmirtz from completing his evil scheme. Once you signup to assist OWCA, you are given your Field Operative Notification Equipment or FONE (pronounced phone). This device will allow you to recieve your instruction from OWCA while you are in the field. From this point, you are assigned a country to visit and you follow the steps your FONE sends to you in order to stop the evil Dr. Doofenshmirtz. Major Monogram and his intern, Carl, will guide you as you complete your missions around the country. Various objects will interact with you as you complete your mission such as fountains becoming active or the clock in Germany going off. This is basically a redone version of the Kim Possible World Showcase Adventure with some new additions to it. The one thing I like about it is that you are assigned an agent name that the Major Monogram and Carl will refer to you as via your FONE. For instances, if your name is Jennifer, you will be referred to as Agent J. I think it is nice that Disney is trying to keep this experience fresh with a overlay and smart of them to capitalize on a very popular property in Phinease and Ferb. Lastly, Disney has also released some pictures of Walt Disney World's own version of Radiator Springs over at the new Art of Animation Resort. This section looks really nice and should resonate with Cars fans of all ages. You can see the pictures of this new section of the resort here. The blog also released a first look at the new queue line for Under the Sea - Journey of The Little Mermaid, which can be seen here. The new queue space looks equally as stunning as Storybook Circus and it features an awesome tribute to an original attraction at the Magic Kingdom. 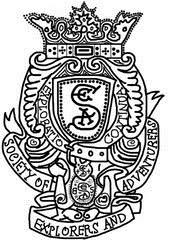 Thanks for reading, and let us know what you think. You can either leave comments on the blog or tweet us @Parkscope or @MrX_381. Until next time!